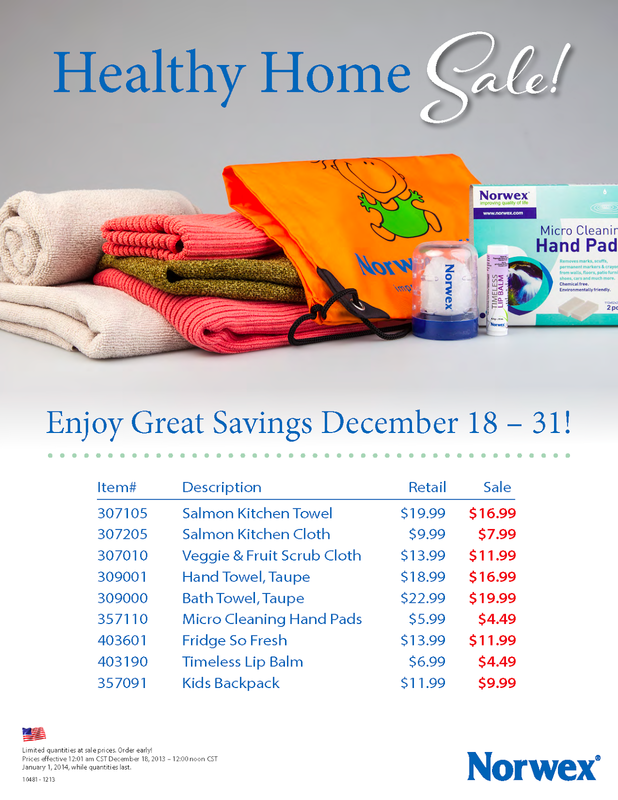 Rebecca Lange - Norwex Independent Sales Consultant: Norwex Healthy Home Sale! 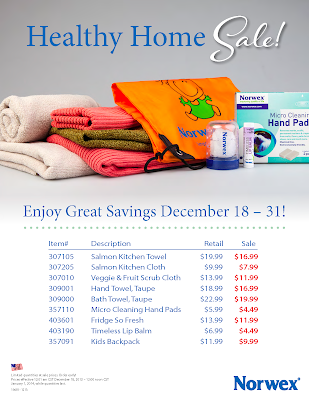 Beginning today, December 18, 2013 through noon, January 1, 2014 CT, we are offering great savings on products selected to make all homes healthier. Quantities are limited! Limited quantities at sale prices. Order early! Prices effective 12:01 am CST December 18, 2013 – 12:00 noon CST January 1, 2014, while quantities last. Do you use Antibacterial Soap?